In the Coursera (MOOC) class ‘Global Warming: The Science of Climate Change‘ by Prof David Archer (University of Chicago), the long life of Carbon Dioxide in our atmosphere was explained and is a real cause for concern. The concentration of atmospheric CO2 reached 400ppm last year, a fossil-fuel induced historical high. 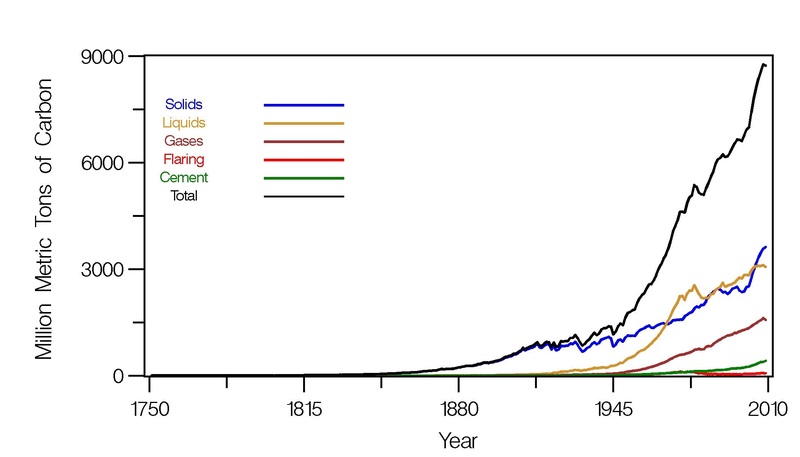 Pre-industrial concentrations were relatively stable at around 280ppm. 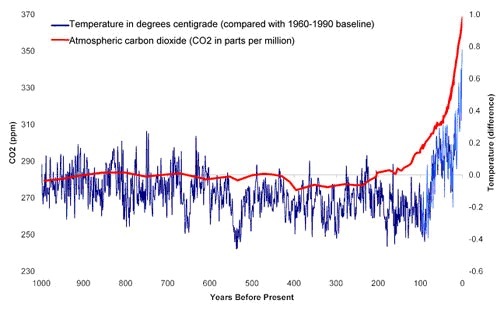 Global temperatures have been rising in step with CO2. So the effects on Climate from Global Warming, induced by high levels of atmospheric CO2, will persist for centuries after pollution is curtailed. With rates of emissions of CO2 set to increase, the worst effects on Climate are on the horizon and will become the normal conditions for hundreds of years to come. 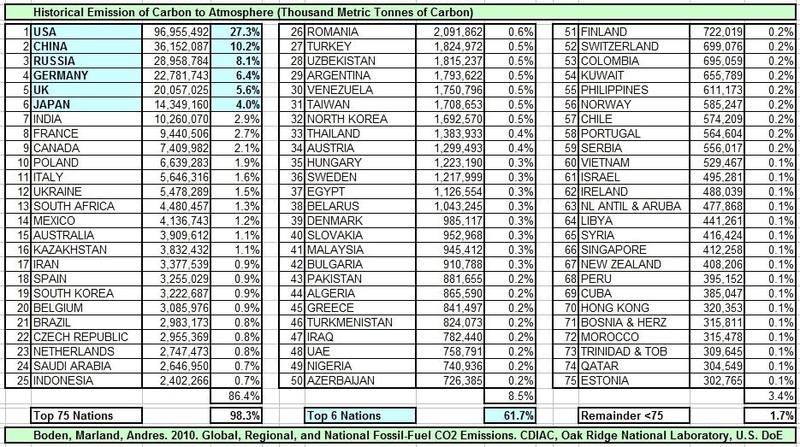 An interesting dataset of Historic CO2 emissions since the beginning of industrialisation is available from CDIAC: Carbon Dioxide Information Analysis Centre which is the primary climate-change data and information analysis center of the U.S. Department of Energy (DOE). 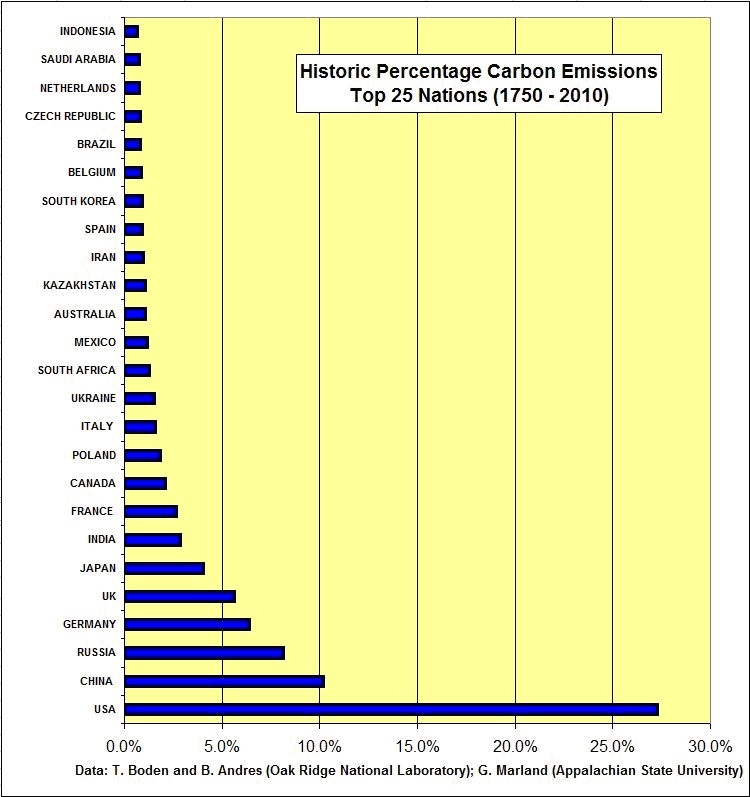 As can be seen from the CDIAC graph below, the bulk of CO2 emissions have been in the last 50 years. One ton of carbon equals 44/12 = 11/3 = 3.67 tons of carbon dioxide.